A few years ago edible Easter grass started making an appearance in the candy aisle. And, well, it’s…edible. Not in the, “Mmm, I’ll have some more please”, kind of way. More in the, “I guess I’d rather eat this than the plastic Easter grass”, kind of way. I wanted something that gave me an Easter grass look, but using the papery store-bought stuff on cupcakes was kind of out of the question. 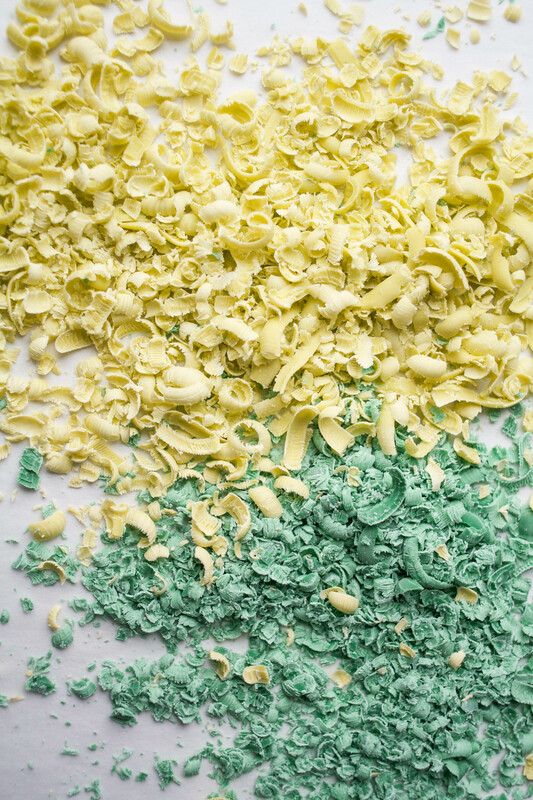 To solve my grassy dilemma, I turned to my trusted shredded candy melt technique. You may remember this from my Valentine’s Day Confetti Cake or even from my Craftsy Class, Cakes in Full Bloom. It’s inexpensive, quick, easy, and requires no special tools. Perfect! 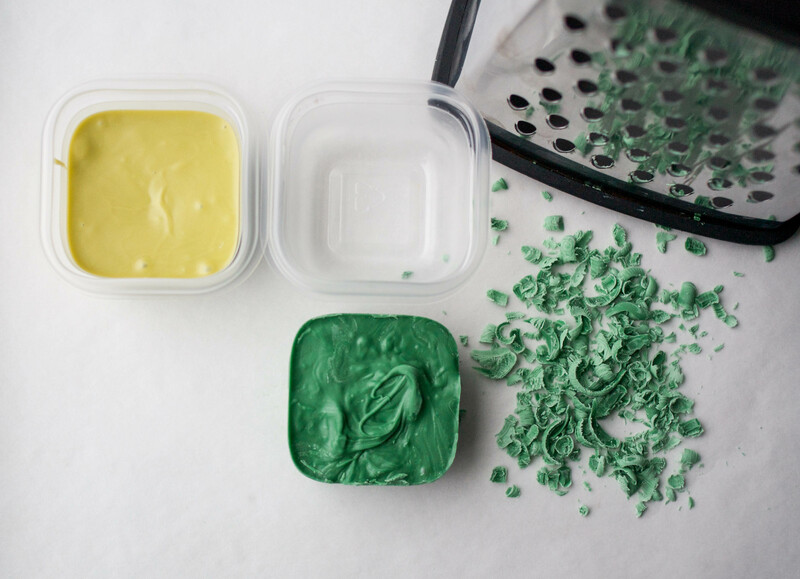 Pour the melted candy into a small square container. Let the melts set up. Pop out the block and get to shredding! The shreds come out best when the block is at room temperature. You’ll get pretty curls that way as opposed to ugly crumbles if the block is too cold. To quickly warm your block up, pop it in the microwave for 8-10 seconds. 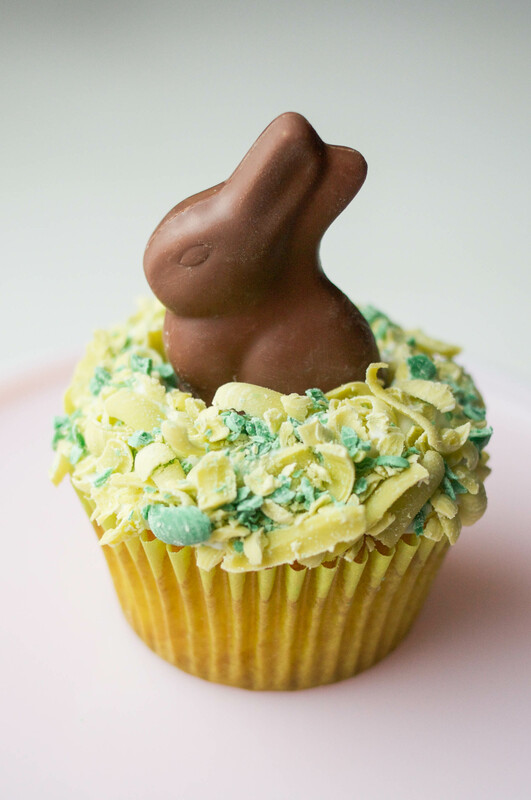 I used two colors of candy melts for my little chocolate bunny cupcakes, but a single shade of green works just as well. My candy critter cupcakes on Handmade Charlotte were finished with just the lighter green. Erin, I LOVE this! Thank you for sharing!!! This is definitely an obvious cocern for cable subscription companies Foxtel and Austar. Therefore it makes use of television in areas that was previously unheard of. TV can change the Guest experience with many ways.